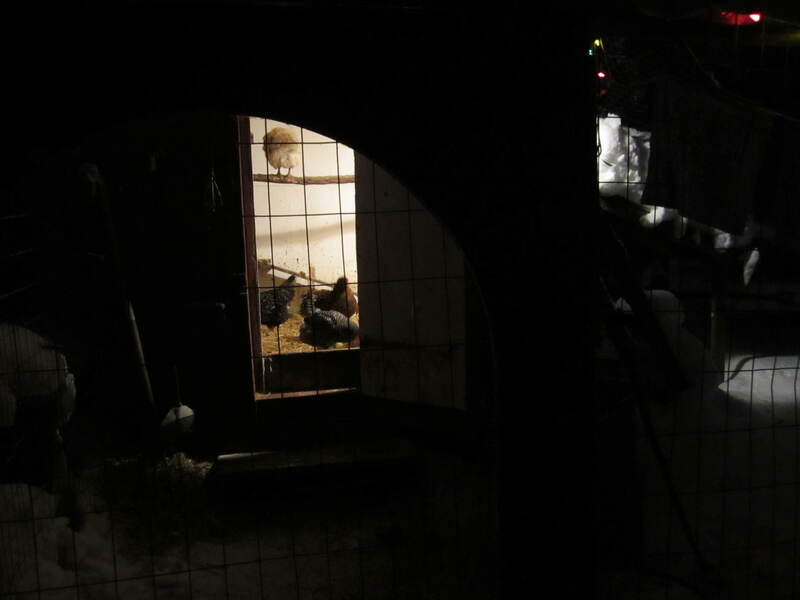 This entry was posted in Flock, Winter and tagged coop conditions, Fairbanks, flock health, health, interior alaska, snow, winter, winter chickens. Bookmark the permalink. Just wanted to say I am enjoying your blog, I was born and raised in Fbks, and currently live in upstate NY where I am raising Chickens and Guinea Hens. Nostalgia be damned, but I quite like the idea of getting my info from a source that is more “down to earth” than the back yard chicken blogs I have been finding online, I do not however miss those winters. Anyway, keep on keeping on and thank you. One question, what has your experience been with predators? I have set traps for weasels, still nothing. They are a tricky lot, I lost some of my favorite girls last winter. Any advice? Thanks for the kudos. I think you are having worst winter weather this year than we are. I have been really lucky concerning predators; my coop/henhouse are not particularly secure, and certainly a weasel and/or fox could easily dig in and get my chickens. It might be just that I live in a predator-poor area. I think your question I would have to open up to the greater audience on this blog: anyone have success with controlling weasels? and if so, how? A few years ago I insulated and converted my children’s unused two story playhouse into a layer hen area above and a meat bird area below. The layers started appearing last week to check out the yard area because of the warmer temperatures. Last Wed-Mon we had 48 – 50 degrees up on Moose Mountain – and what a slushy mess it has been. We just finished shoveling out the fenced chicken yard area to allow our pregnant ewes a dry and protected area while waiting for their delivery dates. With all the activity the chickens have appeared in the yard. It is my experience chickens hate touching snow. Now that the yard is covered in straw for the ewes, the layers are enjoying the warmer temperatures too!